On our day trip to Fir Island, one of the first birds we came across was a heron that was standing in the water near the parking lot catching lunch. I am guessing that the fish in these waters were pretty small because he seemed to catch a lot but always was after another. Must have been bite sized portions! 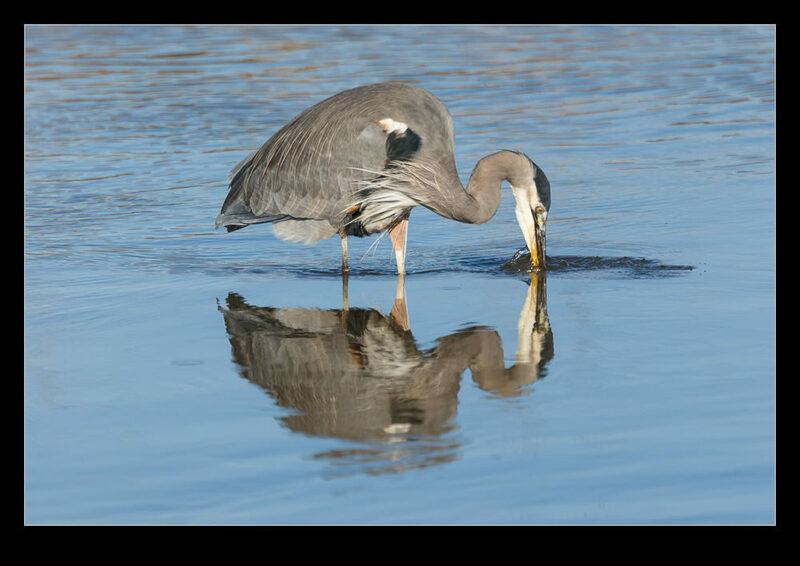 With the water so calm, his reflection was very clear giving a nice emphasis to the shape of the body. 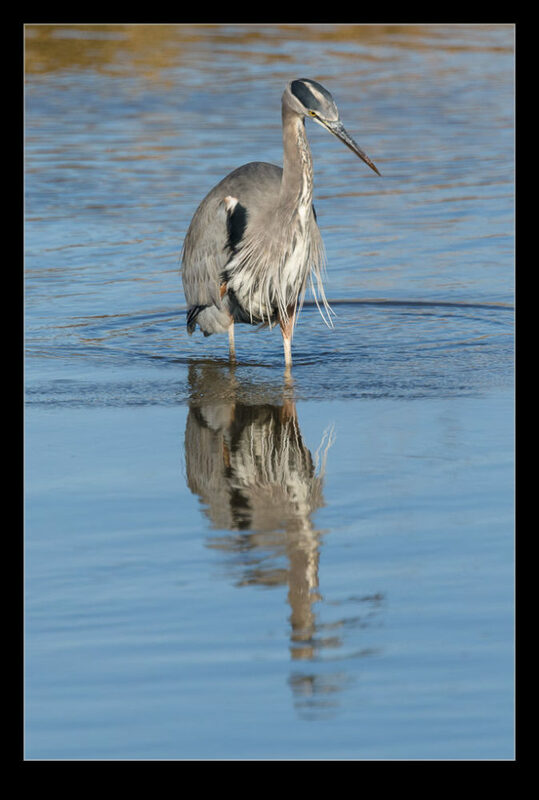 This entry was posted in Pacific Northwest, photo, wildlife and tagged bird, fir island, heron, photo, Skagit, washington, wildlife. Bookmark the permalink.